Greece. The green shoots of recovery, a photo by Teacher Dude's BBQ on Flickr. 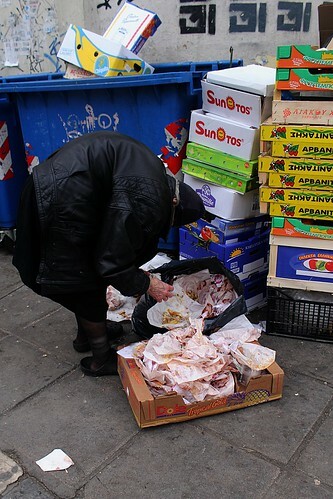 Greek pensioner scavenging among rubbish on a Saturday afternoon, just before the city's central market closes for the weekend. 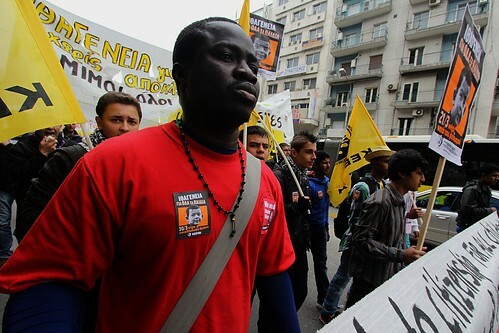 Protest against Greek government's moves to deny children of immigrants born in Greece citizenship, a photo by Teacher Dude's BBQ on Flickr. 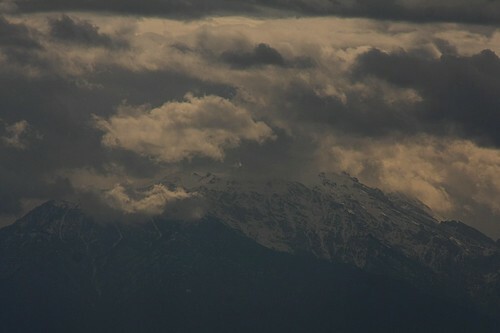 Taken yesterday in Thessaloniki, Greece. 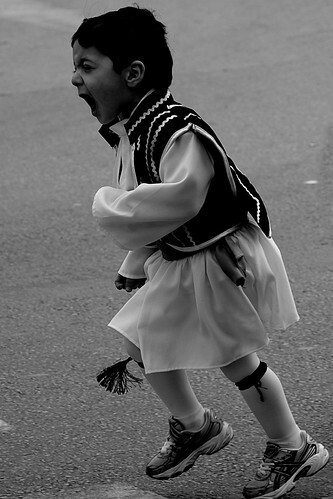 Greek child wearing traditional costume for independence day parade, a photo by Teacher Dude's BBQ on Flickr. 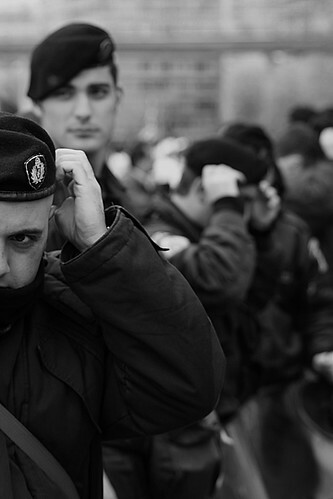 Riot police keep close eye on families gathered for Greece's independence day parade. Thessaloniki, Greece., a photo by Teacher Dude's BBQ on Flickr. 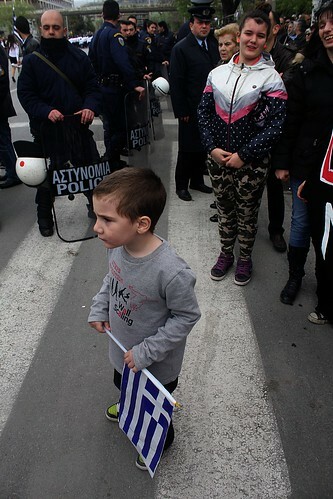 Monday saw independence day marked across Greece. Traditionally, communities large and small celebrate the start of the country's breakaway from the Ottoman Empire in 1821 by holding parades in the centre of towns and villages. This year was no different though the level of policing meant that Athens and other major cities resembled Pyongyang rather than Paris on Bastille Day. Thessaloniki, Greece's second largest city was no exception with the president and other VIPs (who also included a convicted criminal) safely ensconced in the middle of a 1 km no-go zone surrounded by thousands of riot police. 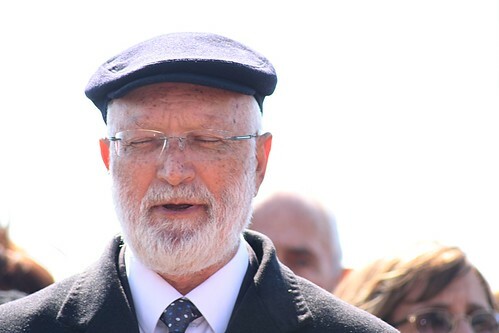 The aim of the authorities was to ensure that there would be no repetition of the events of 2011 when a spontaneous protest closed down the annual No day military parade in the city and angry citizens forced president Karolos Papoulias to flee the area. The incident sent shock waves through Greece's deeply unpopular political class revealing as it did the depth of ordinary people's anger towards their rulers.Just weeks later the government resigned. The present government with its hard line on matters of law and order was taking no chances that such scenes would be repeated and so made sure no protest would be able to get anywhere near the VIP stands. In Athens the central Syntagma Square was emptied of citizens and a wall of buses kept back people from government politicians. As Greece struggles through yet another year of economic contraction and the government promises yet more austerity cuts the gap between rulers and ruled becomes more and more apparent on such occasions. Police at the Greek Independence Day parade, a photo by Teacher Dude's BBQ on Flickr. Taken at a ceremony to mark the 70th anniversary of the first train load of Jewish Greeks sent by the Nazis to Auschwitz concentration camp from the norther port city of Thessaloniki. 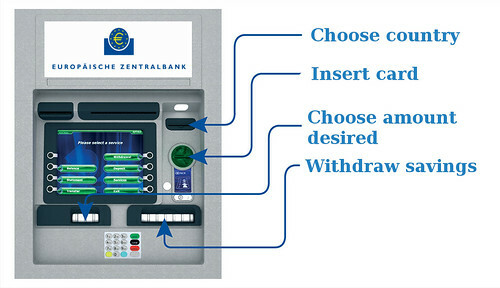 The new EU cash machine is introduced in Cyprus, a photo by Teacher Dude's BBQ on Flickr. How Cyprus can call the EU's bluff. As you are probably aware Cyprus is now in the middle of negotiations with EU leaders over a 17 billion euro bailout needed to save the country from bankruptcy. The original plan which involved the taxing of bank deposits at up to 10% has proved unworkable and has been voted down by the Cypriot parliament. However, there is another plan that would allow Nicosia to secure a loan and not have to implement painful spending cuts (and risk becoming the new Greece/Spain/Portugal) nor impose a bank levy that would annoy foreign depositors, especially the Russians. When Cyprus achieved independence from Great Britain in 1960 large swathes of the island were handed over to the British armed forces to be used as bases in the strategically important eastern Mediterranean. The Sovereign Bases Area are still important given their proximity to Middle Eastern hot spots and the fact they lie so close to vital shipping routes through which so much of the world's oil comes via the Suez Canal. So here is the deal. 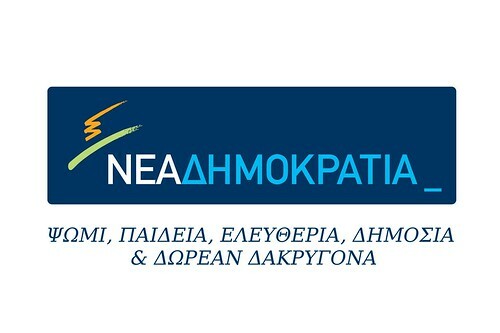 The Cypriot parliament turns down present Eurogroup proposals and instead announces that a) they are considering re-negotiating The Sovereign Base Area deal with a view to inviting other nations to tender bids for a long term lease or b) they say that they will allow other nations to build naval facilities on the country's territory, thus giving them a similar deal . The cost in either case to be approximately the same as the money being used by EU to blackmail (the Cypriot PM's words, not mine) Nicosia into agreement. Now this is where things get really interesting. Given the poor shape the Assad regime is in, Russia must be wondering if its naval base in Syria will survive a regime change and therefore an alternative offer would be welcome. That it comes from a country with such close ties with USA and UK makes the idea an even more delicious irony, given NATO's encroachment on countries close to the Russian border has been so unrelenting. The fact that huge volumes of natural gas may be flowing through this part of the world soon also adds to the attraction. Even the suggestion of such an offer to the Russians will set alarm bells ringing in London, Washington and possibly Paris and combined these countries will be able to bring a huge amount of pressure to bear in Brussels and Berlin. Does the EU really want to change the balance of power in such a sensitive region for a paltry 7 billion euros? Given the geo-political ramifications and the fact that the European nations have already pumped 1.7 trillion euros into propping up the continent's ailing banking system, a few billion more may be considered a price worth paying. In either case, Cyprus comes out on top, it doesn't have to tax depositors, large or small, it's banking sector comes out of hiding this week intact (more or less) and it gets the money it needs to avoid bankruptcy. Employees of the AGNO dairy company protest over lay offs and unpaid wages. Employees of the AGNO dairy company protest over lay offs and unpaid wages., a photo by Teacher Dude's BBQ on Flickr. Over 100 employees of the Greek diary company Agno, have been laid off afteer the company filed for bankruptcy recently. Despite this the business has continued to work 3 shifts a day till strike action brought a halt to production. 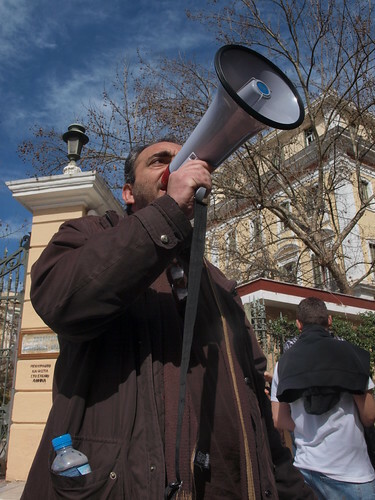 Workers taking part inn the protest outside a ministry building in the northern Greek city of Thessaloniki complain that have not been paid since last December. Yesterday the Greek Labour Inspectorate reported that 50% of Greek businesses are failing to pay their employees on time. 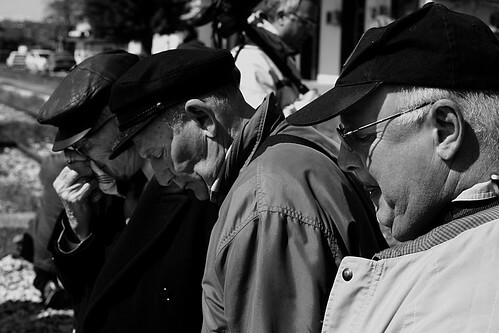 Representatives of the village of Ierissos after their meeting with police and local authorities, a photo by Teacher Dude's BBQ on Flickr. 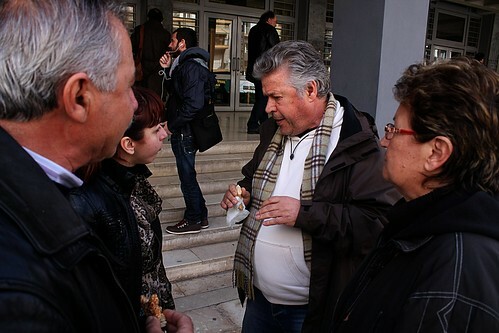 After yesterday's violent confrontation between riot police, supported by armed anti-terrorist units and the residents of the Greek village of Ierissos, representatives of the community meet with the authorities in the northern port city of Thessaloniki to defuse mounting tensions over the controversial Skouries mine project. ΨΩΜΙ, ΠΑΙΔΕΙΑ, ΕΛΕΥΘΕΡΙΑ, ΔΗΜΟΣΙΑ ΚΑΙ ΔΩΡΕΑΝ ΔΑΚΡΥΓΟΝΑ, a photo by Teacher Dude's BBQ on Flickr. 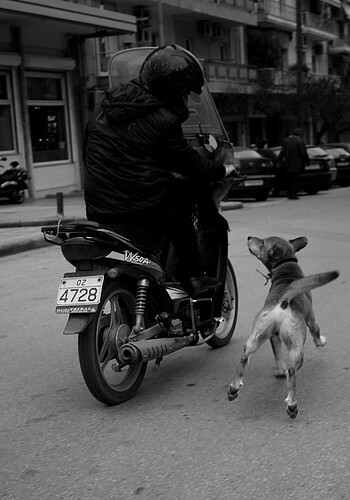 Dog chasing bike, a photo by Teacher Dude's BBQ on Flickr. 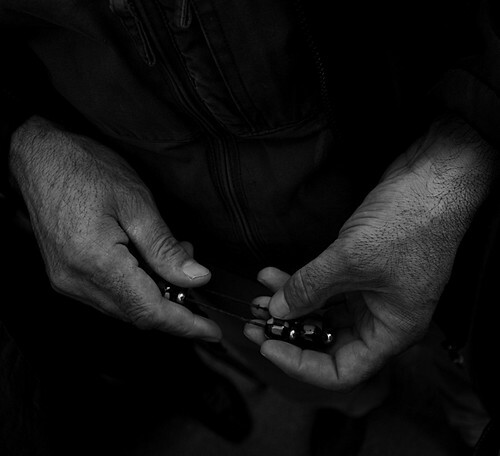 Greek worry beads, a photo by Teacher Dude's BBQ on Flickr. 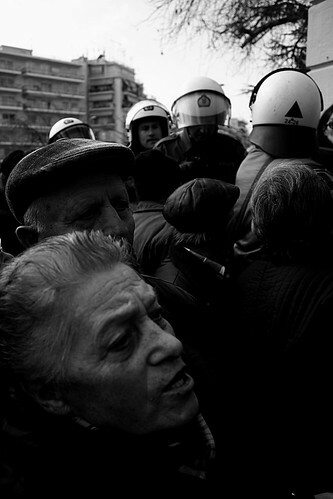 Riot police vs pensioners - Thessaloniki, Greece, a photo by Teacher Dude's BBQ on Flickr. 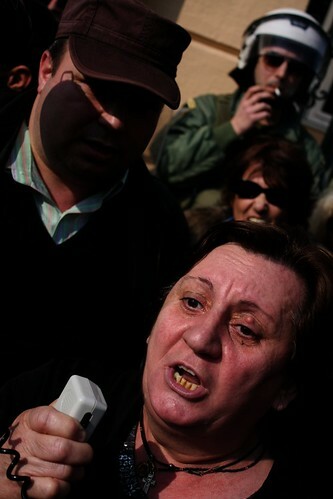 Protests as Greece cuts pensions still further. 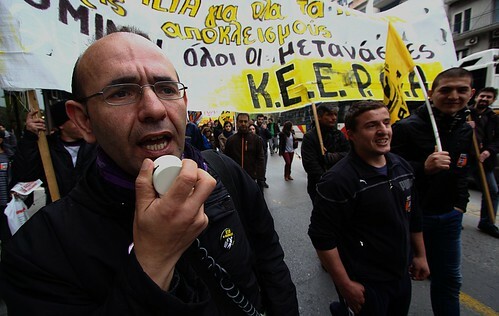 Protests as Greece cuts pensions still further., a photo by Teacher Dude's BBQ on Flickr. All photographs and images by Teacher Dude. Take a 90 second walk through my world. 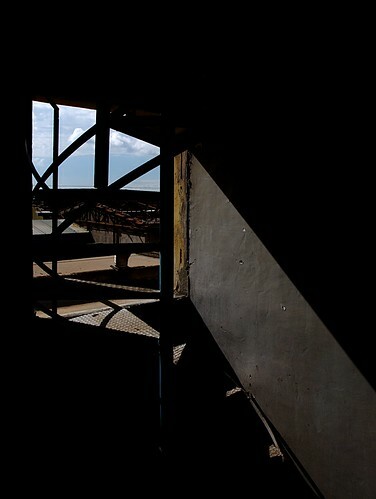 Dead factory, a photo by Teacher Dude's BBQ on Flickr. 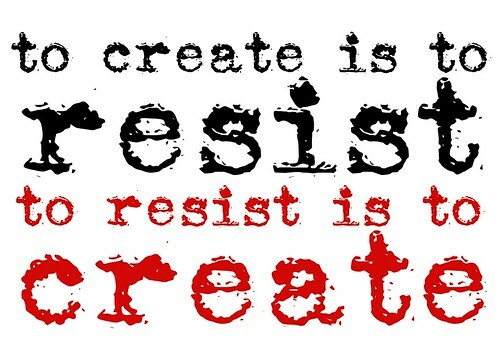 To create is to resist. To resist is to create - poster, a photo by Teacher Dude's BBQ on Flickr. Quote by Stéphane Hessel from his book, Indignez-vous!